As you more than likely know, some over-the-counter medications and prescription drugs consist of synthetic chemicals that damage the body and only mask the symptoms of the underlying problem or disease. 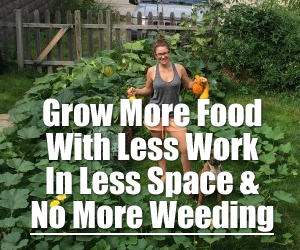 But there’s a great alternative that is simple to do and much less expensive. Making herbal remedies like tinctures and salves is one of the easiest crafts to learn, in my opinion. The most difficult part is acquiring the knowledge about which herbs are used to remedy different conditions, and then learning to identify each of those herbs. There is a plant available in nature to heal every ailment that man has. I personally have been learning this art for years for my own family. So I decided to replace my family’s over-the-counter medications with herbal remedies. I was able to find a good substitute for each medicine, and I got them all ready in only about a year. Tincturing herbs is not hard but it does take some time. Soaking takes about six weeks for leaf and at least eight weeks for seeds, roots, and barks. Soaking time may vary from person to person, and from plant to plant. These are just the general guidelines that I use. Topical salves for wounds are also very easy to make. I have become an avid maker of elderberry products for my family – kids love it! Elderberry is a great immune stimulant. If someone in your family has a cold, elderberry syrup can be used every few hours to shorten the duration of the cold. Ginger syrup is also easy to make, and it’s great to have on hand for tummy troubles. I like to use it in cooking as well, in stir fries and Indian dishes when I want that sweet ginger flavor enhanced and intensified. Acetaminophen (Tylenol™, Anacin™, etc.) is overused in this country, and it can be very harmful to the body – especially the liver. I make an anti-inflammatory tincture using turmeric and wild yam that is an excellent alternative to acetaminophen. With this combination, you can even just encapsulate the dried herbs, and swallow the capsule to relieve your pain. For bruises, aches, and pains, arnica is a great anti-inflammatory and pain reliever. You just apply it topically as an ointment, cream, or salve. Arnica is especially good for muscle pain. When tincturing herbs, I recommend using potato vodka – unless someone in the family has issues with alcohol, or you are going to give the tinctures to children on a regular basis. In those cases, I would recommend using glycerin. Generally, I feel that alcohol-based tinctures are more effective than glycerin-based tinctures. To make a tincture, fill any size mason jar half way full with your desired herb or a combination of herbs. Fill the jar the rest of the way with vodka or glycerin. Allow the jar to sit for the appropriate length of time (can vary depending on the herbs and solvent used, and by application). As I mentioned, my rule of thumb is 6 weeks for leaf, 8 weeks or longer for roots or barks. I use a cool, dark cabinet; and I give them a turn over to mix the herbs at least once a week – more if I remember. Remember to label each bottle with the contents and the date you started it, otherwise it is easy to forget – especially when you have multiple batches tincturing at once. After soaking time has elapsed I strain the herb from the liquid, placing the herbs in my compost and placing the tincture in amber bottles with droppers. Again, remember to label each bottle with the contents and date. Astragulus/Ashwaghanda: This is a great adaptogenic herb combination, helping the body cope with everyday stresses. Nettle: Great for inflammation, building red blood cells, and allergies. Hawthorne: Great for the heart, by regulating blood pressure; both high and low. Black Walnut, Wormwood and Cloves: This is used for parasites. Salves are also necessary remedies that are easy to make. Goldenseal is an excellent alternative to Neosporin™ and I find it is a superior product as well. 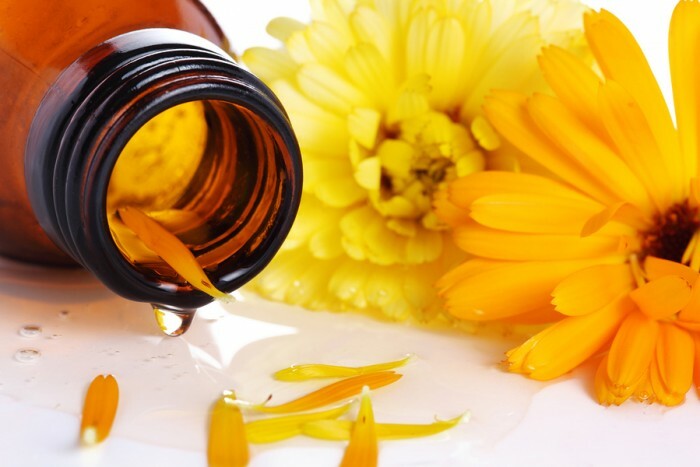 Calendula is great for dry skin, wounds and rashes. Arnica, mentioned above, is great for pain. St. John’s wort is good for minor injuries and burns. And Sassafras for poison ivy. The possibilities are endless. Making salves is very simple. Start by constructing a double boiler on the stove top. Place coconut oil, sesame oil – or some oil that benefits the skin and is a good carrier oil for the desired herbs – into the double boiler, and add the herbs. Simmer slowly for 30-60 minutes; the longer the better, but do not burn or scorch the oil or the herbs. When this is complete, strain the herbs through a cheese cloth, retaining the oil infusion and discarding the herbs for compost. Using the double boiler once again, shave beeswax into the bowl and place over low heat. Add your herbal oil infusion to the beeswax and stir to combine completely as the beeswax is melting. Once combined, you are ready to pour your salve into storage containers. I prefer glass jars to metal tins; it is just too messy for me to attempt to get salve in such a shallow dish. There are many YouTube videos explaining how to make salves in a myriad of ways. This is just the easiest for me and it works well too. Creating new types of salves is fun and allows you to get your creative juices flowing. This type of procedure works well for lip balms too. Herbs are a gift that should be cherished, respected, and utilized by all of us. Every herb has a use, and learning what those uses are has been a beautiful experience for me. It is empowering to be able to heal oneself. I have found alternatives to every over-the-counter medicine my family used, and I believe that the natural herbal remedies are far safer for me and my family. Herbs are a gift from Nature, and we can feel as if we are being gifted everyday of our lives if we choose to see this fact. I choose to, and I hope that you do too. If you would like to learn more, be sure to check out grow your own medicine and you be able to treat the most common family ailments with simple medicines you can grow or easily find. It seems that for ‘herbal remedies’ you simply make stuff up. There is only one type of medicine, it has evidence to support its use and claims. Anything else either has some kind of effect by pure chance, will be proven with time and studies and then be considered actual medicine or it is charlatanism! Herman medicine is simply pharmacology with no evidence to support its claims.